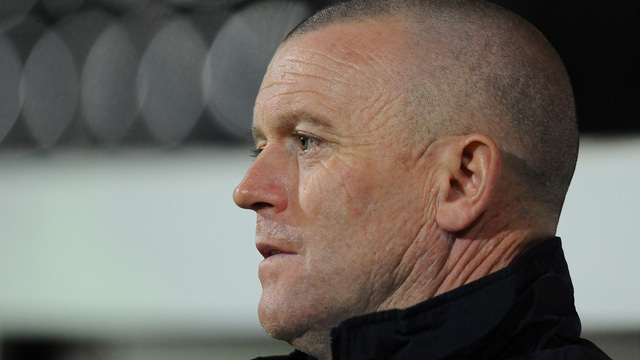 David Hockaday left Conference Premier club Forest Green Rovers this week by mutual consent after four years in charge. The club has gone through an awful run of form recently, losing their last four league games, and seven of their last eight. Not great for a side many – including me – had tipped to win the league this time around. That preseason expectation was justified on the first day of the Conference Premier season, as Rovers thumped Hyde 8-0. However, things have not gone well since. Only four more wins have followed in the subsequent fifteen games, and with the club languishing in sixteenth place and only four points above the relegation zone, the decision has been made for the club and Hockaday to part ways and move on. This was Hockaday’s first management position, so in reality he has probably done well to hold on to it for four years. Rovers haven’t always been title favourites during his spell at The New Lawn. In fact, they finished in the relegation places in his first season in charge, but were saved by a double demotion for Salisbury City. The following season saw Rovers survive on goal difference, despite a final day defeat at Tamworth. Two tenth placed finishes followed, and backed by Dale Vince’s green energy millions, they were installed as favourites this season. With that kind of pressure, it was always going to be a tough job for any manager. So what next for Rovers? As mentioned earlier, the club are just four points above the relegation places, and are massively underachieving. Their squad is incredible for this level, boasting the likes of Andy Mangan, Matt Barnes-Homer, Magno Vieira and England C international midfielder James Norwood. They should be a lot further up the table than they are. This brings us to the next manager. There are some very good managers being linked with the vacancy. According to oddschecker, John Coleman is the favourite, with Terry Brown, Micky Mellon and Martin Allen among the chasing pack. Fans would probably be happy with any of those four, but there are a couple of interesting names further down the list. Gary Seward, Hockaday’s assistant and current caretaker manager is among the pack sitting at 33-1, where you can also find Jim Harvey, Rob Scott and Sammy McIlroy. The most intriguing for me is Nigel Clough. The former Burton Albion and Derby County boss is out at 40-1, but it could be just the sort of challenge he is looking for. Personally, I would err on the new manager being John Coleman. 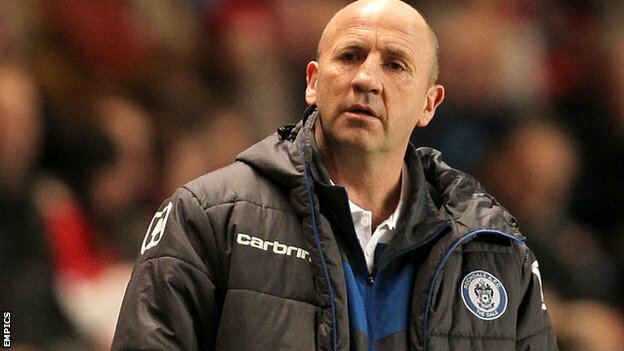 He has enjoyed a sixteen year management career at just three clubs – Ashton United, Accrington Stanley and Rochdale. He spent nearly thirteen years at Stanley and is their longest serving manager ever. He is also the an who restored their Football League status for the first time in forty four years, winning three titles on the way from Northern Premier League to League Two. He might not be the immediate first choice of some Rovers fans, who might be after a “sexier” name, but I feel he would do an excellent job at The New Lawn, and could well be the first man to lead them into the Football League. Posted on October 24, 2013, in UTL Archive and tagged Conference Premier, Dale Vince, Dave Hockaday, Forest Green Rovers. Bookmark the permalink. Leave a comment.